Hapithus agitator (Restless Bush Cricket). Size: approx. 15 mm. Photo: 08/08/11, 9 am. 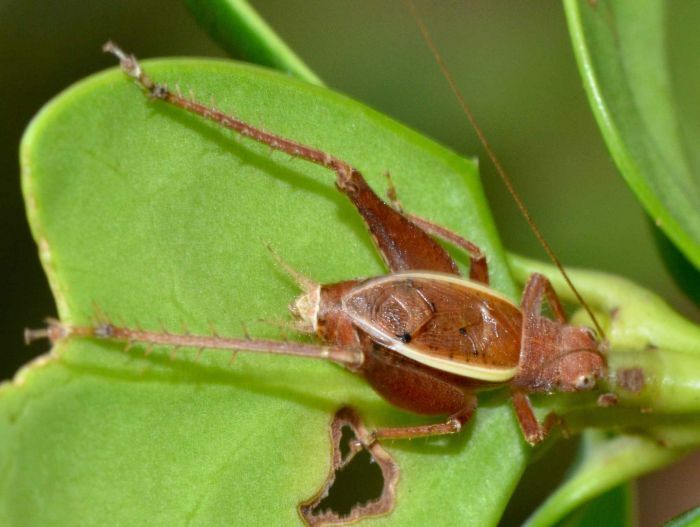 This is the Restless Bush Cricket (Hapithus agitator). 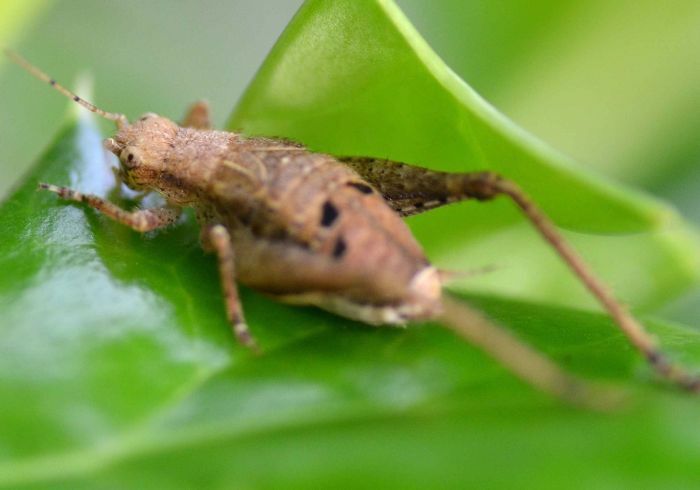 These crickets eat plant matter including citrus leaves and fruits. The smaller photo shows an immature, female of the same species. Females have been reported to eat the male's forewings during copulation.